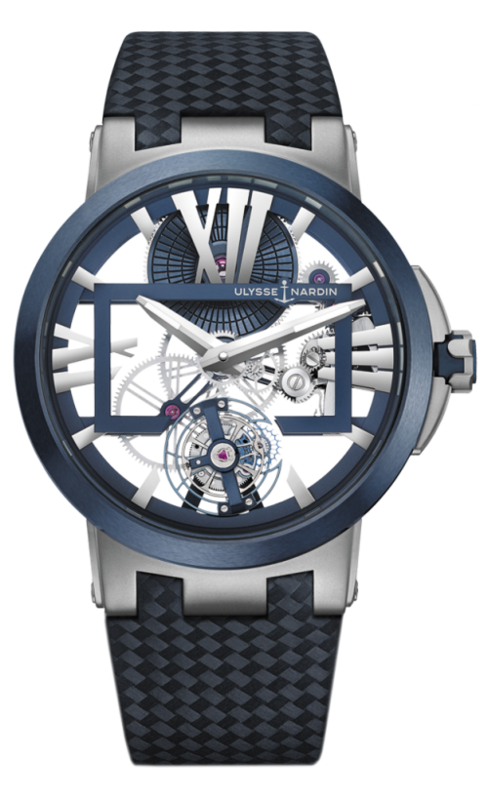 43mm polished high grade Titanium case, with blue ceramic bezel, Ulysse Nardin in house full Skeleton, mechanical wind movement, with impressive 170 power reserve. It features a stunning exhibition glass back. Available on sporty leather strap with carbon fiber, and folding buckle.